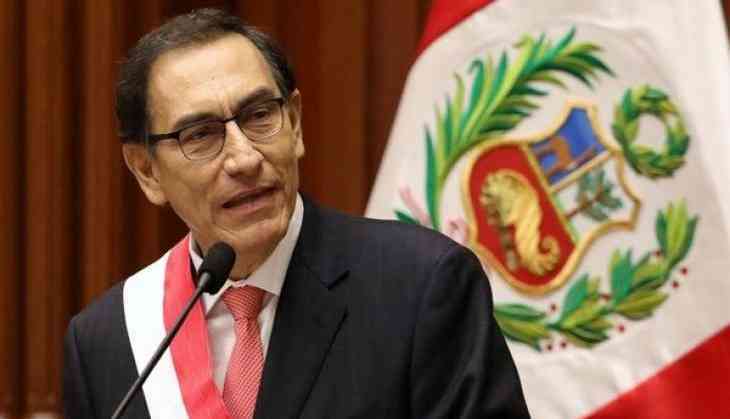 Peruvian regional governor Martin Vizcarra was on Friday sworn in as the country's new president, after his predecessor Pedro Pablo Kuczynski abruptly resigned on Wednesday over a corruption scandal. Vizcarra, while taking oath on Friday, has vowed to eliminate economic corruption from the country. This comes hours after the Peru Congress voted overwhelmingly to accept the resignation of Kuczynski. The 79-year-old-leader had offered his resignation, after secret video recordings entangled him in the new corruption scandal, on the eve of an impeachment vote, The Guardian reported. He resigned as Peruvian lawmakers prepared to vote for the second time in three months whether to oust the Kuczynski from office for "permanent moral unfitness" in a plenary session of the Congress. In a televised message to the nation on Wednesday, Kuczynski said he would offer his resignation to avoid being an "obstacle" to the country. He, however, denied any wrongdoing. In his address, Kuczynski blamed "selectively tendentious" edited recording for giving the impression of vote buying and said "political confrontation had created a climate of ungovernability", which in turn did enormous damage to the country. He is accused of repeatedly lying about decade-old business ties to a Brazilian firm, Odebrecht, which has been at the centre of the continent's biggest corruption scandal. It has tainted nearly all of Peru's main political players in the last two decades. Violent protests had erupted over the week, demanding the resignation of Kuczynski, as protesters said that the Peruvian leader represented the "corrupt political class". Amid clashes with police, protesters chanted to "get rid of them all". Maintaining a low profile throughout, 81 percent of Peruvians do not recognise the new Peruvian president's name in an opinion poll conducted earlier this month.